The Close to My Heart special for the month of March 2012 is for new consultants. If you have been drooling over the new Art Philosophy Cricut Collection and debating becoming a consultant, now is the time to join! 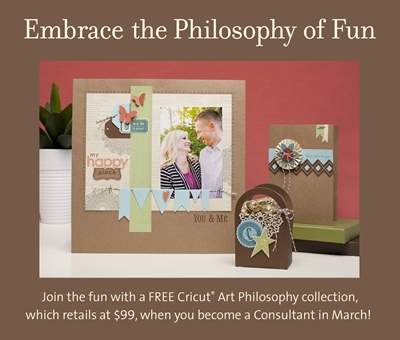 New Consultants who sign up in March will receive a fabulous Cricut® Art Philosophy Collection FREE! Or you can choose to receive $100 in select product credit* instead. The collection, which retails for $99, is actually valued at over $124, adding incredible value to the New Consultant Kit. 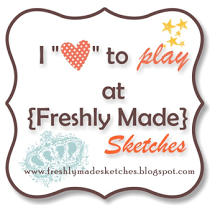 It’s time for everyone to embrace the philosophy of fun—Consultant and Cricut® fun! Special is good March 1-31, 2012. Start today!